With the all-new Maruti WagonR launch now dealt with, all eyes are now on Maruti’s next big launch in the coming days. 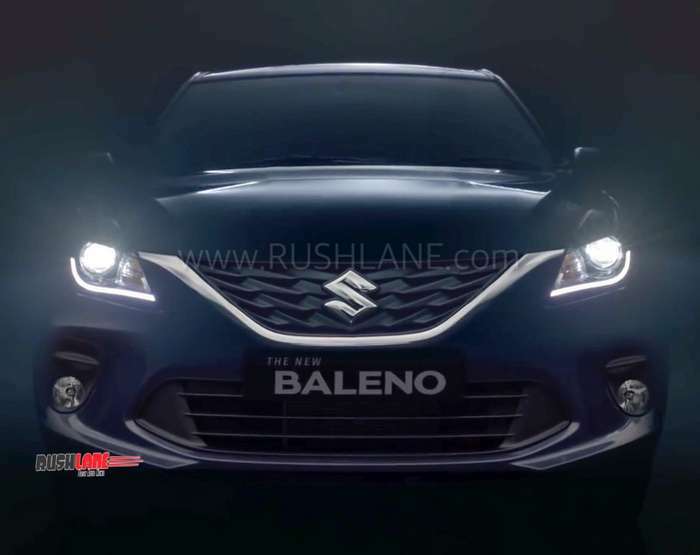 Nexa’s official social media account has shared a teaser video of the 2019Baleno facelift, announcing the commencement of bookings. The Maruti Baleno facelift is likely to be launched in February. The teaser video gives us a glimpse of the updated hatchback’s front fascia but we already know about the revisions, thanks to previous spyshots. The Hyundai Elite i20 rival receives a new front bumper with sportier airdam and fog light enclosures. The front grille retains its shape but the dimensions have been changed subtly for a crisper look. The background mesh has been revised as well. The profile has been carried forward without any styling changes but we expect the updated car to offer new alloy wheel pattern. The rear is likely to receive new taillight detailing and a new bumper. The 2019 Maruti Baleno would be offering a number of new features in a bid to maintain its significant advantage in the premium hatchback segment. In addition to the already standard ABS, dual airbags, and EBD, the updated model will also get front co-passenger seat belt reminder, speed alert system and rear parking sensors as mandated by the upcoming safety regulations. Expect the interior to receive new trim elements as well. The Maruti Baleno’s powertrain lineup would continue without much changes for the time being. The new 1.5-liter diesel engine is expected to replace the FCA-sourced 1.3-liter unit before the BS-VI norms kick-in next year (April 2020). The Maruti Baleno has been one of the best selling cars in the country, and it reached the 5 lakh sales milestone faster than any other model in the history of Indian automotive industry (38 months). The update, though superficial, would be enough to keep the cash counter ringing.